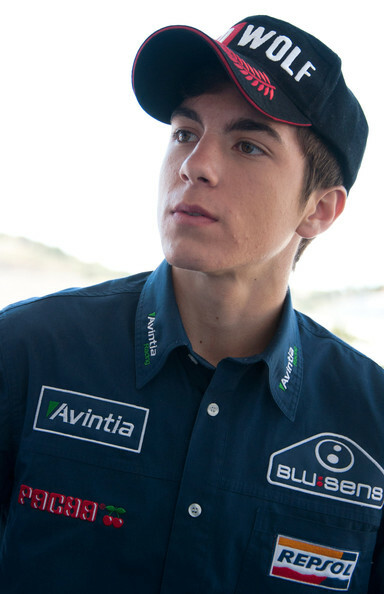 Ran across this very enjoyable interview with Maverick "top Gun" vinales recently when perusing the London Telegraph's Cars section, with the story being buried inside the article about MotoGP costs. As the 22yr old Spaniard rider was leading the points table at the time of the interview, whilst his mercurial Countryman and triple MotoGP world champion Marc Marquez had slipped 37 markers adrift. But that was Wayback in June, with Marquez subsequently having gone on a tear, leapfrogging Vinales for the top of the points table by 14 markers heading into Round 11 of 18 at 'Ol Deeter Majestik's Red Bull Ring in Spielberg, Ja-Ja! As Marquez started from Pole with Vinales directly behind on Row-2, whilst third place title protagonist Andrea Dovizioso, simply known here in Nofendersville as DOVY', was in-between, with the Italian atop his factory Duc' (Ducati) just 21-points adrift of Marquez. Yet for some reason, the wheels seem to be coming off the Yamahoppers', as Maverick slipped back during the race to finish a dejected sixth, whilst his lauded team leader Rossi finished P7. As Dovizioso won his third time this year, ahead of his lauded team leader Jorge Lorenzo, with Marquez being the Bologna in thou Ducati Duos Sandwich! Before the Repsol Honda pair of Marquez and Dani Pedrosa pushed him back to fourth place at the finish. Thus Marquez now leads Dovizioso by 16-points, with 176 vs. Dovy's 160. Vinales slides to third overall with 150 and his Movistar team-mate "the Doctor," nee Valentino Rossi languishes in fourth with 141 points, with six rounds remaining. Meanwhile, although I'd never heard of him, unless I mentioned him in some long, lost Scooter Pilotes' prose? Sadly, the man responsible for putting Motorcycle racing on Spain's radar, along with being friends with King Juan Carlos, has just perished at age 70.